Friday time! So happy. Some of this week's inspiration is below – be sure to come back on Monday for a very special giveaway! Have a great weekend. 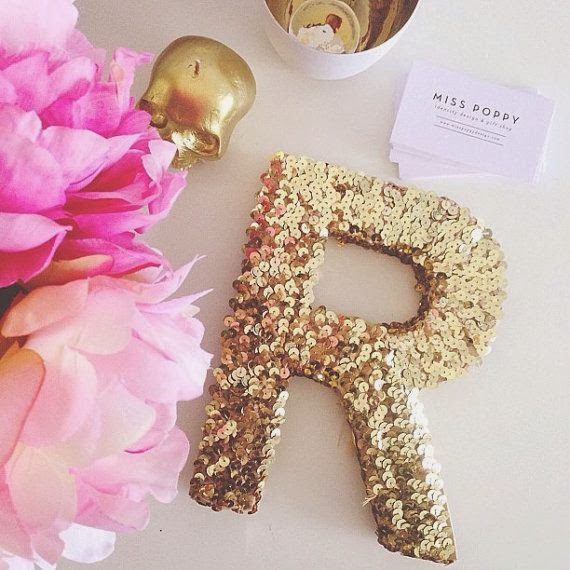 The gold sequin letter above needs to come home with me asap – especially because it's an R.
Pantone has announced that the color of 2014 is Radiant Orchid. Here are some tips about decorating with all of 2014's upcoming "it" colors. This rope bracelet is perfect for any girl this Christmas – whether she's nauti or nice. See what I did there? Oh gosh. I need the weekend. Super cool lettering by Zachary Smith. Still photos of dogs responding to "shake" will easily cheer up your day.